German Finance Minister Wolfgang Schaeuble said on Thursday that Greek Prime Minister Alexis Tsipras has not shifted the burden of austerity away from poorer Greeks as he had pledged. Schaeuble also said that Tsipras has appointed partisans in various positions in the Greek public sector, including directors to supposedly independent organizations such as the privatization fund. Yet, Tsipras used the debt relief issue as a communication tool to tell Greek people that the austerity measures he was implementing would pay off because creditors had promised further debt relief if the measures were implemented. 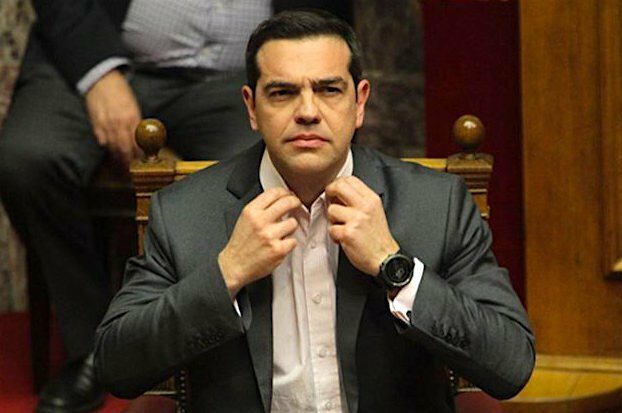 He kept promising Greek citizens and his lawmakers that more debt easing is coming. That travesty started with the December 5 Eurogroup where the Greek side came back empty-handed, without the second program review and without debt relief. That was repeated on a monthly basis until the May 22 Eurogroup. In the meantime, Finance Minister Euclid Tsakalotos had admitted that only one third of the second review prerequisites were implemented. When finally Greece legislated almost all of the prerequisites — that brought another 4.6 billion euros of austerity — it was imperative for Tsipras and his cabinet that the suffering Greek people would get something in return. Debt relief was the easy promise. Greece’s creditors never promised further debt relief, despite the IMF’s insistence that the Greek debt must become sustainable. The difference between euro zone finance ministers and the IMF is that the European ministers have to go to their parliaments and convince them that the bottomless pit that is the Greek crisis requires extended repayment time and lower interest rates. But how much lower than the 1% interest the European Stability Mechanism charges Greece for its bailout loans? And how much longer than 2060 should the repayment time should be extended to? But Tsipras and his lawmakers keep repeating that creditors pose additional and irrational demands and failed to meet their obligations. They repeat that to the point that defies logic and reality. Government-friendly media keep propagandizing against Schaeuble, the IMF, the European Central Bank, trying to create a negative climate against Europe in general. As if the money from the pension cuts that the SYRIZA-ANEL coalition voted for would go to Schaeuble’s pockets. Or as if the German finance minister is some kind of sadist who wants to see Greek people suffer. Or as if Europe has decided to milk poor Greece. The latest Greek government attack against European institutions were comments made by officials who said that the Eurogroup has no authority to deal with the Greek debt issue and the solution will be given at top level during the EU Summit on June 22. During the Summit, European leaders will tell Tsipras that the Eurogroup is the only authority competent to discuss economic issues. And the vicious circle will continue.